What do you get when you combine the quickness and agility of Anthem X with the stability and control of 29-inch wheels? 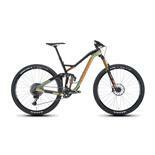 You get this, the bike that has won the hearts of even the purest XC speed freaks. It was developed with Giant XC pros and has scored big-time wins. Featuring a lightweight FluidForm ALUXX SL frameset with Maestro Suspension, an OverDrive 2* oversize headtube and PowerCore bottom bracket-plus the confident handling of 29-inch wheels-Anthem X 29er is Mr. Versatility. Frame is stiff and seems to ascend well. Descending is great. Great for cross country riding here in Northern Utah at 4500 feet elevation and up. Shifts well. 2014 x3 purchased new. Rode for a few 1000 km then replaced wheels with giant TRX1 and 2.4 Maxis ardents set up tubless, big improvment in traction, ride quality and durability over the flimsy Racing Ralph on narow 19mm rims. Up graded to Reba forks, 60mm stem with riser bars. Changed out brakes to SLX and bigger 180mm rotors. And a Brooks B17 saddle. Have around 20,000km on it now. Terrain has been a huge mix of moderate to, is this even a trail...single track, coastal mountain logging roads many of them crazy steep washed out gnar to smooth rolling hard pack and blacktop. Used daily and constantly maintained. This bike has proven highly durable and reliable, delivers a very stable well planted ride quality far beyond what a short travel XC rocket would suggest. 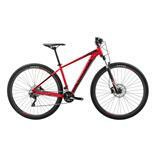 Climbs like a goat, very capable on the steep rough downhill and provides a long haul peddling platform second to none. If you are looking for a versatile bike for cross-country riding in the true sense of the word I don't think you could do better than this. Highly recommend. Many will dismiss this bike on the basis of its lanky chain stays. However when used as an all terrain mile munching machine in the conditions described above I feel they are an asset. For the first few weeks I found it felt big and awkward in very twisty tight single track. Not so now after the initial learning curve is over. But what if you like to pop, jump and hop? Look elsewhere, this is not a bike for you. This review is for a 2015 Anthem Advanced. XT Build kit and FOX CTD factory suspension front and rear perfectly tuned. Light wheelset weighed at 1749 gms not bad for factory. Only the Crossmark tyres....too small a volume! I have been riding for 30 years and are a confessed MTB nut! Been riding a 29 Epic for the last three years with full Sram XO and SL Carbon Rovals. It is fast. I have been wishing for a platform just a little more compliant in the rough stuff. I have always been a FOX fan and when I saw the 2015 Anthem Advanced at $4200 with FOX Factory suspension plus full XT and such a beautiful frame, just had to buy it. Its a fantastic bike. Just as fast as my Epic but a little more capable when it gets rough! Interesting to note is that everyone goes on a lot about the long Anthem chain stay. Well the wheelbase on my Anthem is shorter than my Epic by about 20mm. The Anthem is more playful than the Epic and quieter. Going to keep both bikes but if I could just have one, it would be the Anthem Advanced. Suspension is unbelievable, bike handles well, light weight, best value that I could find for the price. Picked up the 2014 Giant Anthem X1. I had been looking around for used models as well as the X3 model. These bikes hold their value pretty well and the savings to pick up a used one was not enough for me. I thought it was worth spending the extra $ for the warranty alone. They gave me a discount and threw in tubeless tires and I was a good to go. I am new to mountain biking and did plenty of research before pulling the trigger. I used to ride MX but am just getting into the mtn bike scene. Immediately, after just a few miles, it's evident how well the suspension works. The guys did a standard set up for me, for my height, weight, etc. I have yet to find any reason to adjust it at all. The more i get a feel for the bike, the more I realize how great it is. For the $ to value ratio, I just don't think there is anything out there close based on all the research I did. The components are mid range quality/weight but they seem to work really well, no issues yet. I'm 5'9 and got a size medium, I'm not sure of the weight but its definitely under 30lbs, probably close to 27. The bike handles really well, it's a good climber, awesome in the flats and it corners well. It's also solid going downhill but remember, this is a race/cross country bike. I am sure it would be better downhill if it was heavier but who wants to push that extra weight around? After several rides, the word that best describes this bike is capable. It can really do everything well, maybe not the best at 1 particular thing, but it is just good or really good in all areas. As more comfort for the bike grows, so is my confidence in how it can perform. I'm certain the only limitations of this bike are the extent of my skill level riding it. Eventually I may throw on some carbon rims but other than that, this is a beauty right out of the box. In early 2013, I got the Anthem X 29er full suspension. I previously road a Specialized Jump Stumper 26". The difference was huge. Note - I re-configured the Anthem X 29er with tubeless Maxxis tires, The Schwabe tires that came with the bike suffered multiple flats, I upgraded to lighter America Classic wheels to loose weight, and I switched to Easton carbon handle bars. The bike now weights under 27 lbs and is more agile, more responsive, climbs much better than my previous 26" bike and the suspension is very efficient and predictable in all riding conditions. This bike brings a smile every time I get on it. My rides tend to be long (25-38 miles) with elevation gains (2000-6000 ft). I find I can ride further, faster and handle the technical stuff better. It is too much fun. Only on very rough terrain over a long ride downhill do I find the suspension a bit limited against aother 29ers with 5" or more suspension. It still is light years beyond any 26" bike of 5" suspension. 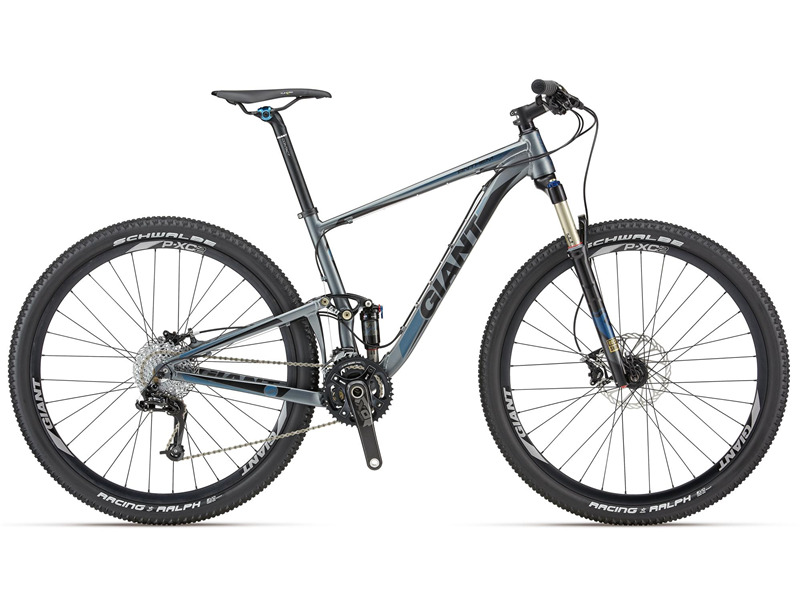 I test rode several other 29er bikes and found the Giant Anthem X 29er to be a good value for the price and the Maestro suspension I liked the best. After a full season of strong rides, it has exceeded by all my hopes and expectations. I will ride this bike for years. Rear brake has howled since day one. Dealer can't fix--even after putting new brake set on. On downhills, I sound like a freight train coming. I it a great bike, I wish someone could fix the "howl". Frame is solid and the Rockshox suspension does a great job. Pivot points seem solid. Drivetrain leaves a little to be desired. Get ghost-shifts on occasion in the rear. Need to apply helicopter tape on a couple spots to eliminate rub. Pedal bobbing is a noticeable issue on ascents. This is my first full suspension bike, having previously ridden a hardtail Giant Talon. At 37 years old, this bike improved my riding all the way around. Just recently a friend of mine told me that he could tell that I was far more comfortable and confident because "I was flying down the trail" compared to my typical riding on past bikes. I don't really know if it's just the suspension or not, but this bike makes me faster, more capable, and more confident. 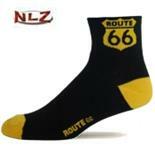 Soaks up the trail and smooths it out, turning is easy and quick. I like that it's more comfortable to ride in general on the trail, I like that it's faster. I like that it's easy to change out the air pressures in the shock and fork. Things I've noticed that I didn't like have been that my front end, even at lower tire pressures (racing ralph tires) will push a bit on some corners, and sometimes wash completely with me having to drop a foot down to save it and keep going...but that's more than likely due to the terrain and my position than the bike itself perhaps. The drive train works well under normal conditions, but at several points will give me some flak when shifting or hard load...which I discussed under weaknesses previously. Overall, I think that if I had to do it all over again, I'd just spend the money for the higher component package. You'll get better stuff and spend less money than if you do it peace-meal over time. The bike is awesome, just could be more awesome with better components. I moved up from a rigid 26er so the speed and comfort of a FS 29er was a revelation. It takes a while to adapt to the different handling -- you use more steering and less lean compared to a skinny-tired 26er. The only minor disadvantage: not quite as adept on tight hairpin turns. Feels very stable, climbs like a goat, remarkably little suspension bob; I hardly ever need the lockout. It lives for cross-country but handles rough stuff well too. The seat and handgrips are cheap and uncomfortable so toss them early. Racing Ralph tires are OK for southern Cal dirt but you'll want more nobby tread for substantial mud/loose stuff. I found the riding posture too hunched over, fixed with a 30 degree riser stem. 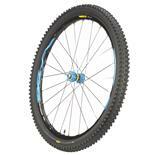 The larger diameter of a 29er makes it susceptible to substantial front wheel flex. This affects handling and means occasional brake rubbing when cornering; removing the front wheel means a fiddly readjusting of the brakes every time. So upgrade to a thru-axle wheel for better rigidity. Think of it as a basic platform where you'll upgrade components over time. Overall a great value, all-round capable cross-country bike. 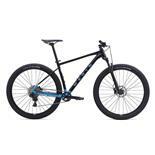 Would thoroughly recommend it for anyone shopping for their first FS 29er. Handling, climbing is sperb... im comparing to my hardtrail 29er i use to have. and downhill defenetly a big improvment. fully recomened, i got it for 3,700 and i belive is a great deal.